The weather is turning toward autumn. 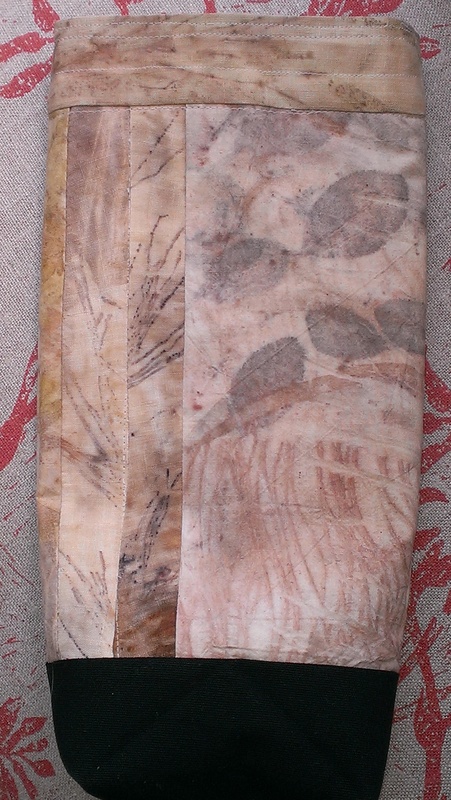 Leaves harvested last season are being converted into new forms. 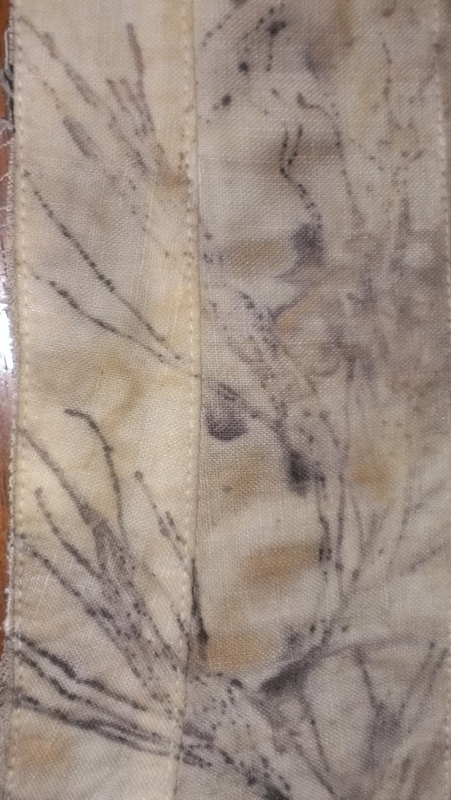 This linen collar came apart with some effort. 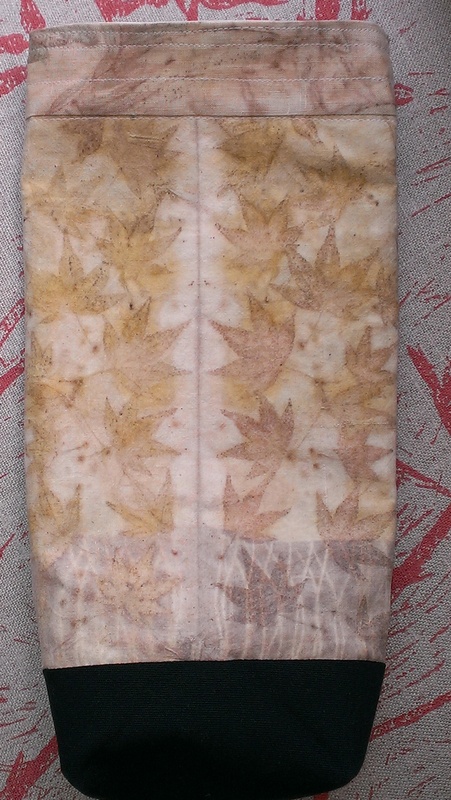 And maple prints from leaves I found over someone else’s fence! 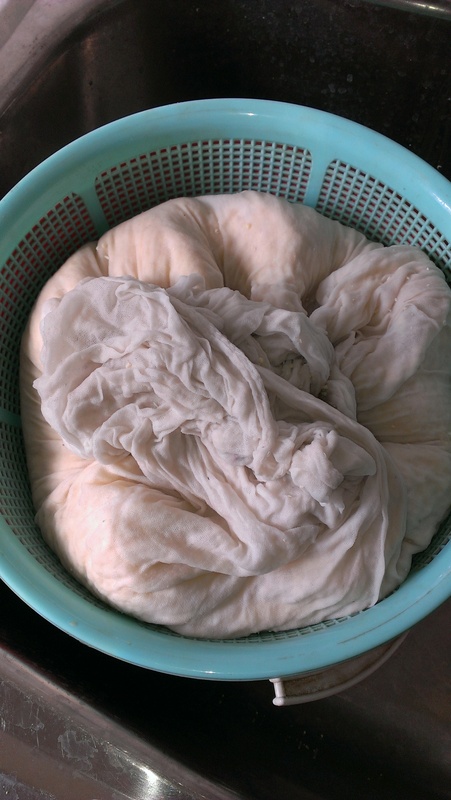 I’ve been making the best of the remaining sunny days, making soy milk mordant. 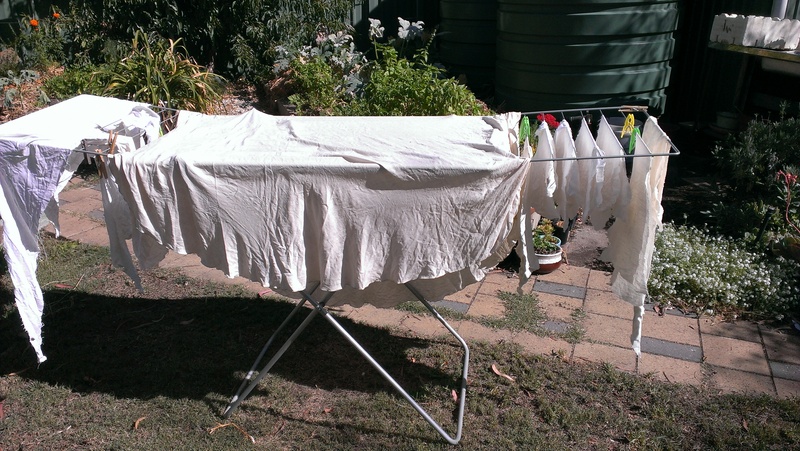 This is a task best done when it is neither too hot nor too cold. Too hot can leave your soy milk smelling nasty! 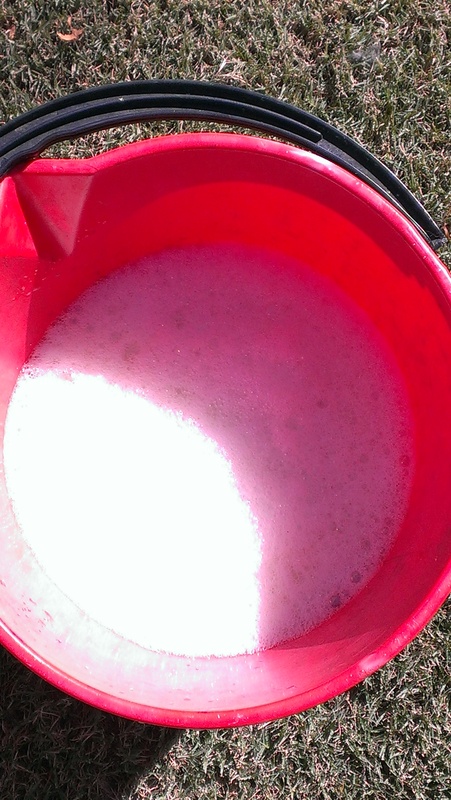 The making doesn’t take warm weather, but multiple dips and dryings are greatly helped by sunshine. 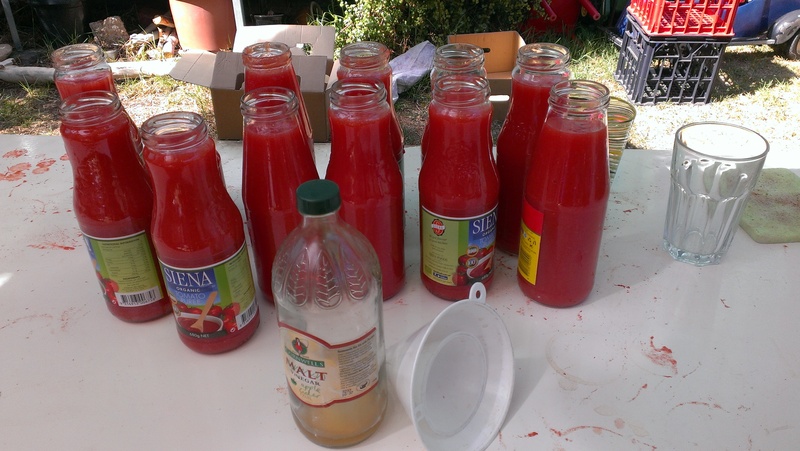 My friends held a big passata making day. 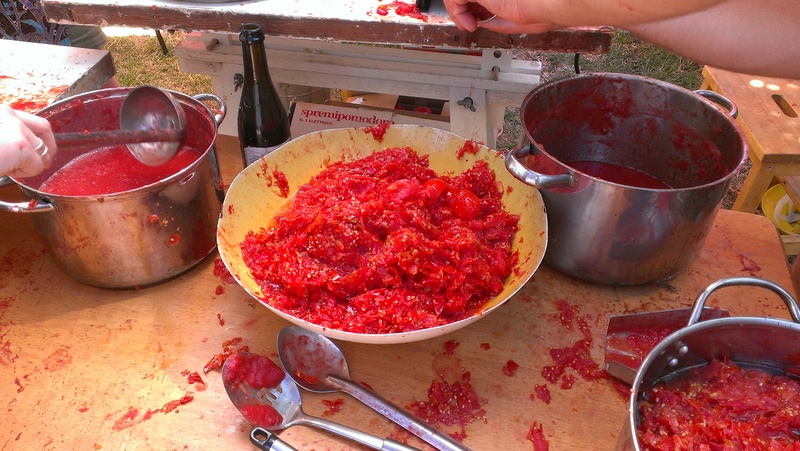 Many tomatoes pulped, skins and seeds removed. Many beer bottles repurposed. 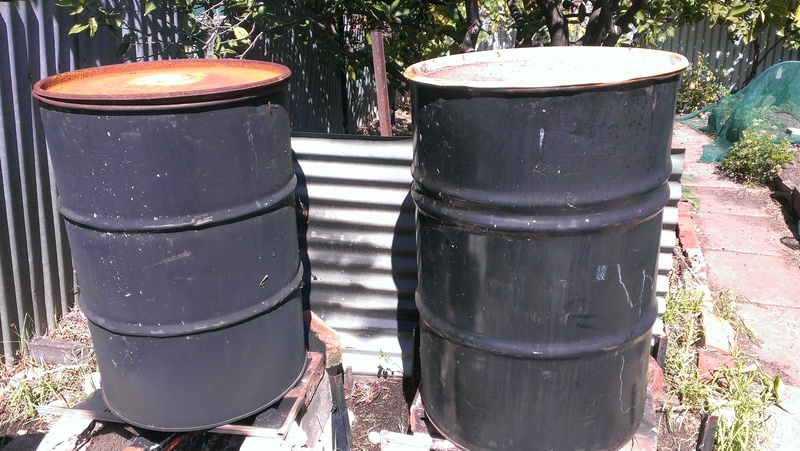 By the end of the day, they were gone and all kinds of jars and bottles were pressed into use. And then, for the long, slow heating. 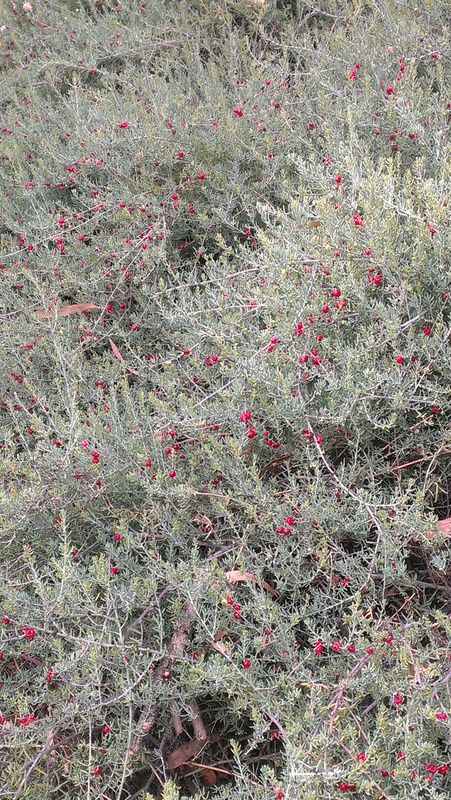 Ruby saltbush is still fruiting. 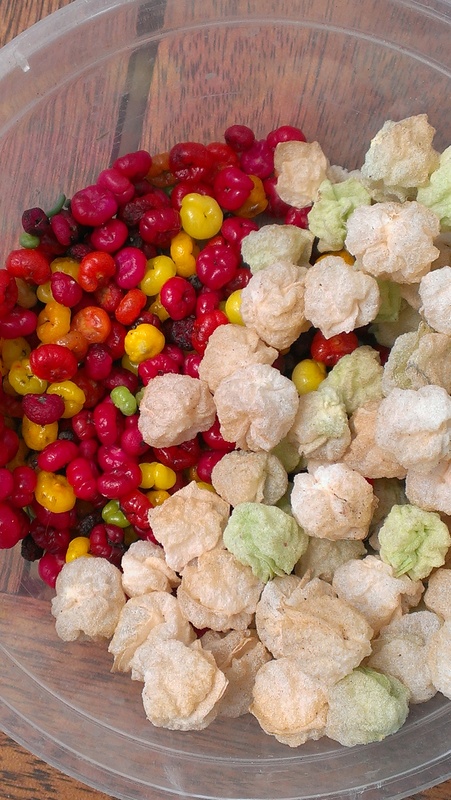 Several colours of leaves and of fruit. I have been taking advantage of the season to collect for next spring’s planting. I even managed to collect some more bladder saltbush seeds. Autumn is a lovely season! I tried to by his booklet unsuccessfully. But perhaps another opportunity will come my way. Hos work sounds amazing, Mine, a little more prosaic! Hope all is well in the hail. Gorgeous, my birthday is in October!! Hi what do you do with the bladder saltbush seeds, did you eat them? No, I planted them. And saved some for plantong when spring comes. What do you use or plant them for? 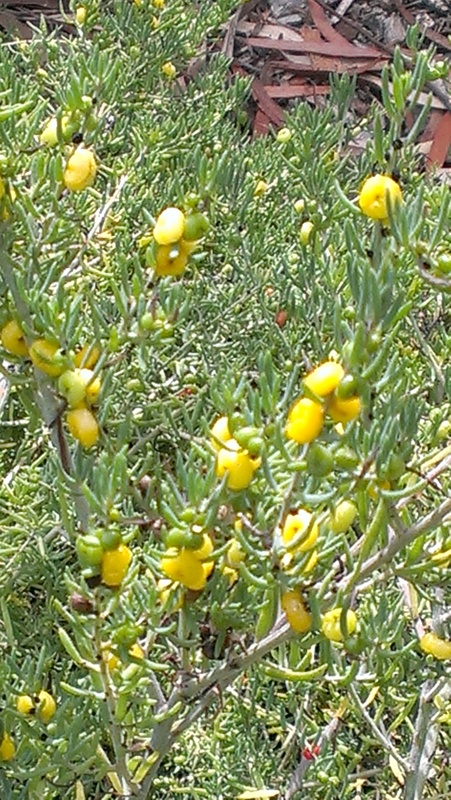 Do you know whether you can eat any part of the bladder saltbush? Is it the white one in the right-hand side of the red berries in the picture? I plant them because they are native (which means they are drought hardy and likely provide good habitat for native animals and insects), and because they are beautiful. I am trying to provide plant cover in parts of my neighbourhood which are currently uncared for waste land which might only have weeds growing in it. I don’t know if this plant is edible. 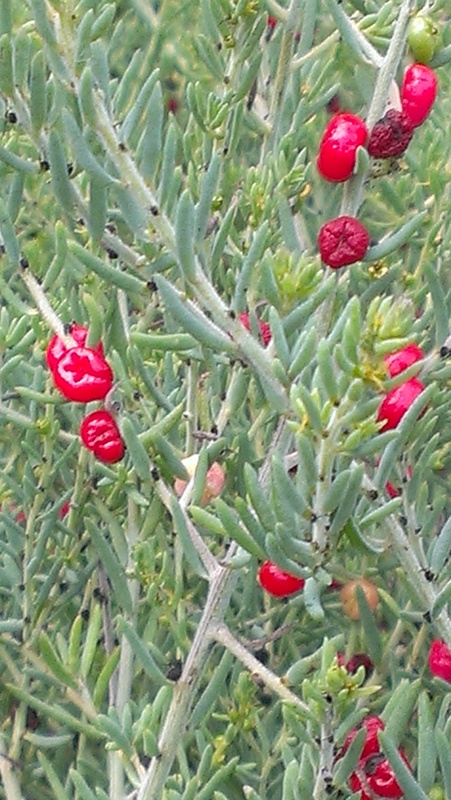 Fruits of ruby saltbush are edible and that is easier to grow.